We'll handle the stress so you don't have to! When you are handling an estate, downsizing or moving H&S is here to help. We handle the stress so you don’t have to. We quickly and efficiently organize, de-clutter and stage household contents for sale. And don’t forget we can sell your vehicles, contents of outbuildings – even old barns! There are never any up-front or out-of-pocket costs to you for an estate sale. We are insured and licensed. We pay promptly. And remember we can help you with insurance, inheritance, probate and charity appraisals. Our appraisals are accepted in court and by IRS. 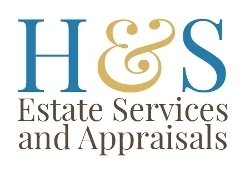 We are members of The Certified Appraisers Guild of America (CAGA) and The American Society of Estate Liquidators (ASEL). We serve Virginia and beyond. Please visit our sister website www.hsestatesales.com for listings outside of this area. Our sister site covers Kentucky, Ohio, Indiana and Tennessee. Call H&S today at 434-665-6915 for a free home visit and consultation.